Hi! I'm Dr. Sunita Narayan, wife of Mr. Sheo Narayan. Seeing my husband's interest and dedication in learning and spreading knonwledge, I got an idea to provide him a place where he can fulfill his thrust of learning and sharing his knowledge with others. This website has been launched on 19-Apr-2007 and formally inaugurated on 29-Jun-2007. DotNetFunda.Com is a popular online tutorials and guide for Microsoft® technologies. Almost all contents of this website have been contributed by the .NET Community members. Our registed members includes Microsoft MVPs, Architects, Managers, Leads, developers and other IT professionals; their experiences varies between 0 to more than 12 years. Sheo Narayan is a Software Professional working in the software industry since year 2001. He is a true .NET community lover and enjoys working in the web technologies. This website has been designed & developed by him completely from scratch and still is being enhanced. He is also one of the prime contributor in this website. His many of the articles have been selected as the "Article of the day" in Microsoft's official website www.asp.net and www.windowsclient.net. He directly or indirectly guides and have guided many .NET Community members. 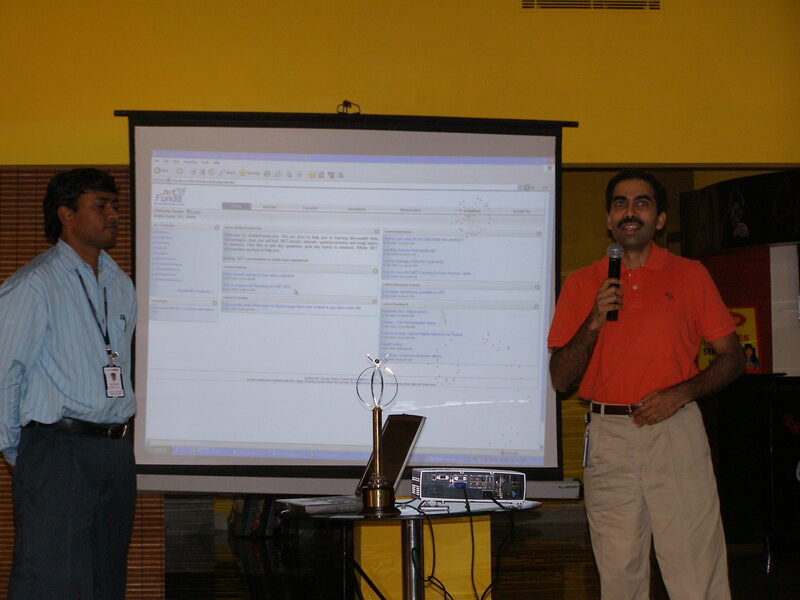 He holds master degree in computer application and is throughout first in his all educational exams. He wants to thank to the following people for their encourangements and supports while developing this website. Rajivendra Nath and Ranjivendra Nath (Ranju Sir), his previous employer's elder sons. He would also like to thank to some of his friends for their encouragement and support. Hope you had a good time visiting this website, Keep visiting the website. You can add more values to this website by contributing in different sections of the website. For any comments or suggestions, please write to me.